Quiet and comfortable Large family room with quiet A/C away from traffic. Terrific service, dinner and breakfast available. Best white choc mint mousse I’ve ever had thanks to Jason the chef! 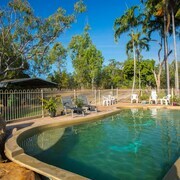 Situated on the riverwalk, this resort is in the same region as Litchfield National Park. 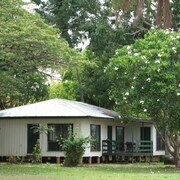 great rural setting A lovely working cattle station that you can stay at! 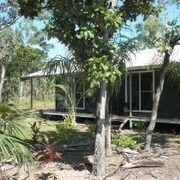 Close to Litchfield NP Very friendly and accomodating hosts. 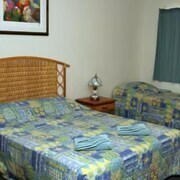 Great location to use as a base for day trips - close to Berry Springs and Nat Parks. Stay close to Batchelor and leave the running around for more noble pursuits — like grabbing a bevvy or two. 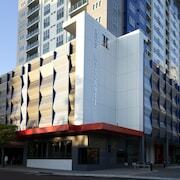 There are 3 accommodation options to choose from within 5 kilometres of the centre on lastminute.com.au. Getting up at the crack of dawn often seems like a good idea, but you're on holiday, right? 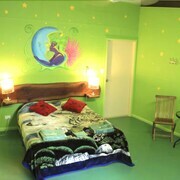 You'll have more time for sleep ins if you book a room at central digs such as Litchfield Motel and Batchelor Holiday Park. One more Batchelor accommodation spot is the Mount Bundy Station, 20 kilometres from central Batchelor. If you've still got itchy feet, why not take off and discover more of the Top End region? Sharpen your landscape photography game by checking out some of Top End's amazing beaches and rivers. Art museums, nature museums and history museums are a few more places worth pulling your camera out for. Still want more? Popular things to do in this particular part of Australia include rock climbing, mountain climbing and hiking, so get out there and have a crack! 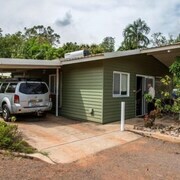 If you're planning an adventure to Charles Darwin National Park and Holmes Jungle Nature Park, why not suss the accommodation situation in Nightcliff? 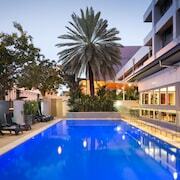 Accommodation options in Nightcliff include the Mercure Darwin Airport Resort and Novotel Darwin Airport. Caught the last flight to Batchelor? Completely worn out? 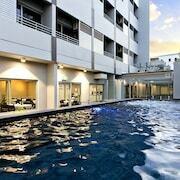 Then it's probably a sensible idea to find somewhere to stay within cooee of the airport. 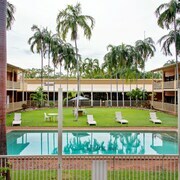 The Quality Hotel Darwin Airport and the Hi Way Inn Motel are just short taxi rides from Darwin International Airport, 75 kilometres from the centre of town.